The School of Science strives to provide a current foundation in the elements of scientific method, theory, applicability and laboratory practice that will encourage the student to acquire an in-depth appreciation of the scientific endeavor. Committed to teaching in the classroom and beyond, the Siena family of students, faculty, alumni, and staff share a passion for this College that is unparalleled. Our focus is providing the best possible undergraduate experience in the sciences with a variety of areas of study from Biology and Chemistry to Computer Science and Physics. Faculty and students work together on innovative research in numerous areas including artificial intelligence, astronomy, physics, robotics, and science education—much of which is funded by the National Science Foundation and NASA. Check out these other opportunities available to school of science majors and discover what Siena has to offer! During the academic year, approximately 300 independent undergraduate research projects are carried out for college credit. Over the summer, approximately 80 students are supported to perform undergraduate research with faculty mentors, who push students to go beyond their textbooks and actively participate in the scientific endeavor. 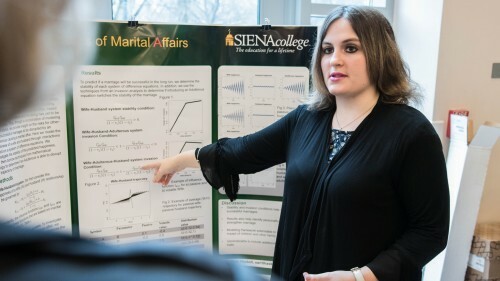 Combining multidisciplinary knowledge, experience and an extensive academic network, Siena’s health professions advisor helps connect students to professional school admissions in Dentistry, Medicine, Optometry, Osteopathic Medicine, Pharmacy, Physician’s Assistant, Medicine, Physical and Occupational Therapy, Podiatry and Veterinary Medicine. Students earn credits by working at an approved internship site under the supervision of a professional in their area of study. The program prepares students for extraordinary achievement in nanotechnology, information technology, and biotechnology all exciting and major growth areas in Tech Valley in New York’s Capital Region. The High Performance Computing Center (HPCC) is a cutting edge research and educational tool that makes Siena College a leader in computational capability among small liberal arts colleges. 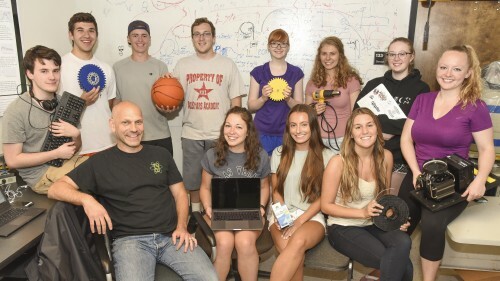 The Stewart’s Advanced Instrumentation and Technology (SAInT) Center is a multidisciplinary instrumentation suite focused on teaching and research across the departments of the School of Science and is open to users from Siena College and the community. Research in the field of Artificial Intelligence consistently calls for a team effort among a wide variety of disciplines. The Institute promotes the adoption of Green Chemistry practices in secondary education science courses by providing teachers greater understanding of Green Chemistry principles and hands-on experience with laboratory exercises. Siena College offers a wide variety of extracurricular STEM (science, technology, engineering, math) summer camps and weekend programs. We aim to build teamwork, critical thinking skills, and interest in STEM fields.